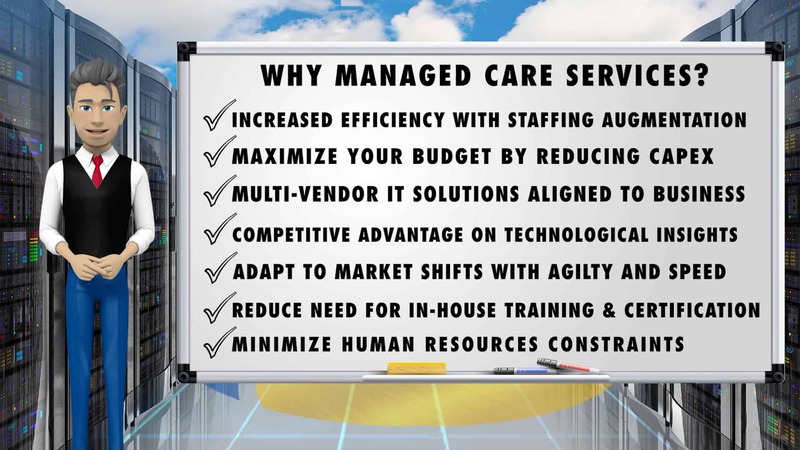 Managed Care Services - Forerunner Technologies Inc.
As digital transformation accelerates most organizations are embracing new technologies and service delivery methodology. As a result, organizations of all sizes are reexamining their short and long-term strategies to see whether the IT services they design and deliver in-house can be more valuable, efficient and effective when provided by a managed services vendor. Managed services span a range of capabilities, creating options for IT organizations looking to benefit from externally provided services that allow them to focus on more business-critical issues and strategic functions and activities. Cloud solutions increase this range of choices, providing more potential than ever for IT organizations to transform. The potential benefits of managed services can be achieved by selecting the right provider – one that can demonstrate the ability to provide skills, processes, and resources that exceed your in-house capabilities. When you evaluate managed services providers, consider the following criteria to help you make an informed decision. Fill out the form below to receive instant access to our managed care white paper.